A Digimon that is completely shrouded in mystery. 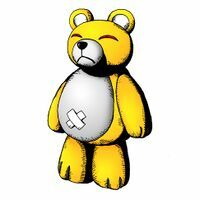 From its looks, it's an unmodified plush toy of a bear, so it's rumored that there is someone within, who got in through where the chuck is attached on its back section. 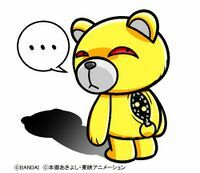 It wraps the opponent up in the love overflowing from this cute body (with scary eyes), and makes them feel happy. 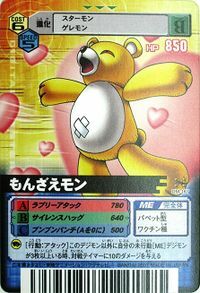 Its Special Move is its "Lovely Attack", in which it flings hearts. A Digimon that is completely shrouded in mystery. From its looks, it's an intact plush toy of a bear, so it's rumored that there is someone within, who got in through where the chuck is attached on its back section. 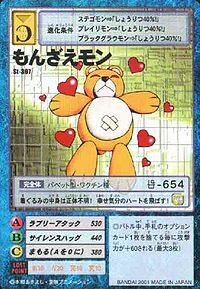 It wraps the opponent up in the love overflowing from this cute body (with scary eyes), and makes them feel happy. A Digimon that is completely shrouded in mystery. From its looks, it's an intact plush toy of a bear, so it's rumored that there is someone within, who got in through where the chuck is attached on its back section. 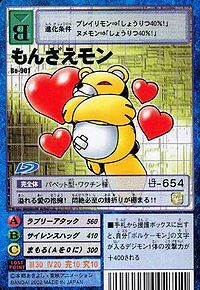 It wraps the opponent up in the love overflowing from this cute body (with scary eyes), and makes them feel happy. A pun on the playwright Chikamatsu Monzaemon 「近松門左衛門（ちかまつもんざえもん）」 who wrote plays for the bunraku (puppet theatre) in the 17th century. ラブリーアタック Raburī Atakku Lovely Attack/Hearts Attack Shoots hearts that that can incapacitate the opponent or make them happy. ブンブンパンチ/ぶんぶんパンチ Bun Bun Panchi Bang Bang Punch/Gyral Punch Punches with a glowing paw, or smacks an enemy multiple times with both paws. 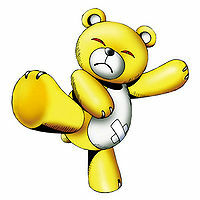 サイレンスハッグ Sairensu Haggu Silent Bear Hug/Silent Hug Grabs the foe with both paws. Charms the enemy with a song filled with love. Similar to Lovely Attack, it radiates hearts that soothe the enemy, weakening their attacks. Ai no Houkou  Hug of Love 愛の抱擁 N/A Hug Heals someone with a loving hug. Shots lasers from its eyes. After traveling through the sewers, the Chosen Children are ambushed by an army of Numemon. The Chosen Children all run off in different directions. Mimi and Palmon are hiding behind a grassy ridge, when Monzaemon emerges from the top. Palmon tells Mimi that he is a friendly Digimon. But, to their surprise, they find themselves running away from him as he tries to attacks them. They are chased into Toy Town, where they find that all of the remaining Chosen Children are being played with by toys! The two then hear cries of help, and find that the other Digimon have been imprisoned in a toy chest by Monzaemon, who is under the control of a Black Gear. Mimi and Palmon face up to Monzaemon. Mimi's Digivice begins to glow as Palmon begins evolving into Togemon. With a few 'Prickly Bang Bangs' and a couple of 'Coconuts Punches', Togemon destroys the Black Gear located in Monzaemon's back. Togemon devolves back to Palmon and is pleased to hear that Monzaemon will release all of the Digimon and Chosen Children. To show his gratitude for freeing him, he uses his Lovely Attack to surround them in red hearts that give off a warm feeling. 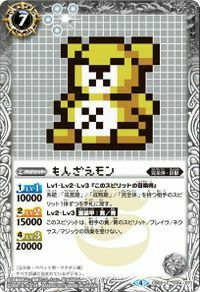 In ZT38, a Monzaemon is among the Digimon that appear in the Real World. When Takuya, Kouji and Tomoki land on a floating island called Toy Town (which is literally what it is as it is filled with toys and sweets and rides) they encounter a Monzaemon who was an inhabitant of the floating fun island while riding on a large toy train looking for the Forest Terminal. They see Monzaemon and run to him to ask him where the Forest Terminal is at but he thinks they want to play wrestle and he throws Takuya down, then helps him back up. Monzeamon says he wants to wrestle and Tomoki agrees but Takuya and Kouji are freaked out and grab Tomoki and run away. Monzaemon chases them thinking it's a game but they hide in a viking ship amusement ride. A virus Toy Agumon orders Monzaemon to defeat them, but Monzaemon says he doesn't want to. Angered, the Toy Agumon transformed Monzaemon into Waru Monzaemon who captures Tomoki. But while he is holding Tomoki captive Tomoki is able to remind Monzaemon of who he was, causing him to return to normal, much to the surprise of Takuya and Kouji who came to rescue him. 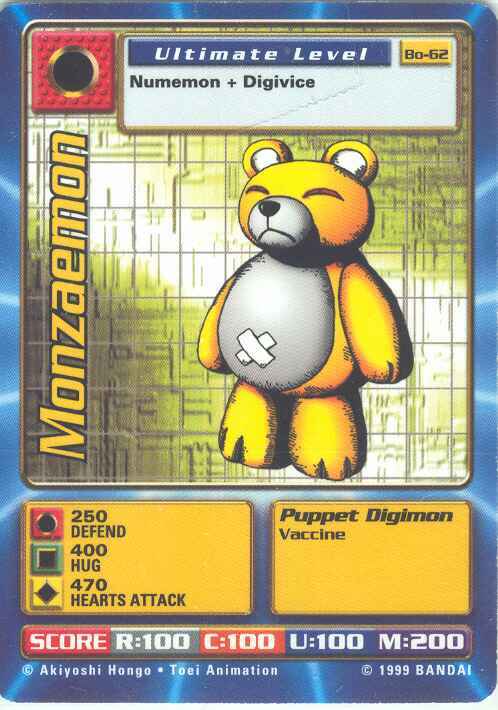 Monzaemon appears as an obtainable Perfect-level Vaccine type Digimon in Digimon World. In Toy Town, the town appears to be isolated, with no signs of life but in one of the houses reside two Blikmon that will tell the Player that Monzaemon, the ruler of Toy Town went missing and Waru Monzaemon took over the Town and kidnapped Hagurumon. However the Blikmon won't accept the Player to rescue Toy Town if they do not have a Monzaemon as a Partner. If the Player goes to the western Ex-Tyranomon shaped building, they'll find a lifeless bear costume that nothing happens when interacting with it. in the Volume Villa, Tonosama Gekomon will hint the Player to bring a Numemon and let it see react to the costume. 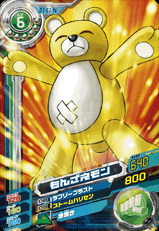 To obtain one, the Player must get a Numemon, which its obtained from evolving a Child Digimon when you do not fullfill the requirements of any Digivolution. 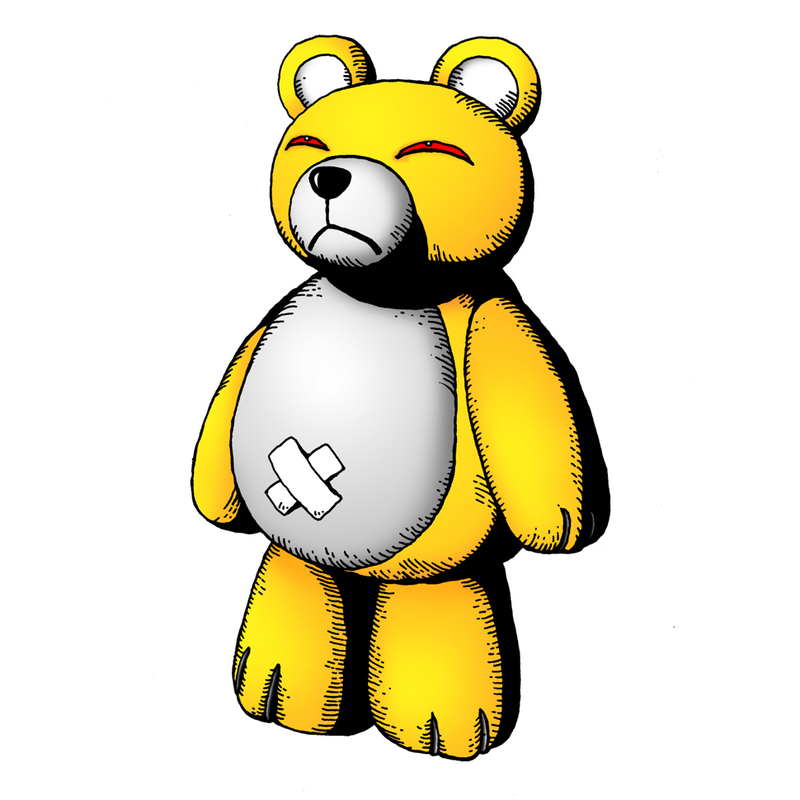 Once the Player has a Numemon as its partner, the Player must go to where they found the lifeless bear costume before and trying to interact with it, will cause the Numemon to enter in the costume and evolve into Monzaemon. This is pretty much the only evolution in the game where the Digimon's Stats and Age do not matter. After the Player brings a Monzaemon to the Blikmon, they'll open the Toy Mansion, where the Player has to go through and at the final floor, the Player will encounter and face Waru Monzaemon, who they have to fight against. After its defeated, Waru Monzaemon will escape and free Hagurumon, which the Player must bring back to the Blikmon, and the Town will appear to be rehabited and lively again. A lifeless Monzaemon costume similar to the one in Toy Town will mysteriously appear in the Village of Beginnings, upgrading Jijimon's house and is seen in the back room hanging in a coat rack, where it can no longer be interacted with anymore. Jijimon will say that it has no idea how the costume arrived there. 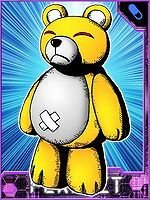 Monzaemon's Digivolution item is the X-Bandage (愛のばんそうこう Ai no Bansoukou, meaning Love Bandage in Japanese) which lets any Adult Digimon evolve into Monzaemon. 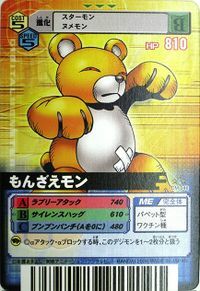 Monzaemon is an obtainable Digimon. Evolves from Yukidarumon (0+ DP) or Mojyamon (0+ DP) and can evolve to Jijimon (0+ DP). 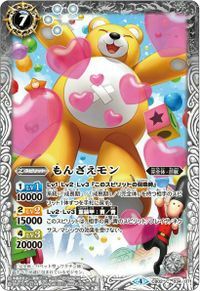 Monzaemon appears as an obtainable Rare Card. Can be evolved from Leomon if above level 15 and playtime must exceed 30 hours, or can be found at Cliff Valley. He can evolve into Bantyo Liomon if above level 67 and Beast EXP above 60000. An NPC Monzaemon appears at the DigiCentral near the DigiArena and the shop entrance, giving you a Love Charm during an Onegai Quest. Evolves from Garurumon, Kyubimon, Firamon, Yukidarumon, Lynxmon or Leomon. Can evolve to Bantyo Liomon or Saber Leomon. Monzaemon is the partner of Lili. It is also an obtainable Digimon which is evolved from Gaogamon, Leomon, or Numemon, and can evolve to Bantyo Liomon or Vikemon. It can also be obtained as a collectible card. 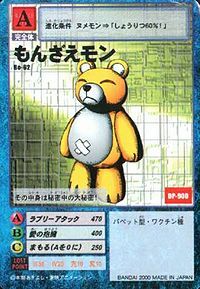 Its card is part of the Mystery Digimon Combination (謎のデジモンコンビ Nazo no Dejimon Conbi) set. Can be evolved from Numemon if you fight 15+ battles with a victory ratio 80% or more. 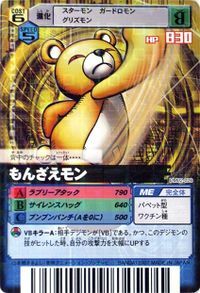 Can be obtained as a Burst Evolution of Karatuki Numemon. Monzaemon is an unobtainable Leader Digimon. What lies inside of its costume is unknown! It sends out hearts of happiness! What's inside of it is the secret of all secrets! A hug of overflowing love! It excels in its forward slam, which is sure to incapacitate the opponent! A Digimon covered in complete mystery. Although it has a cute appearance, the level of its combat ability is unknown. 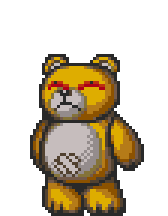 Monzaemon is an enemy Digimon in the Tactimon challenge. 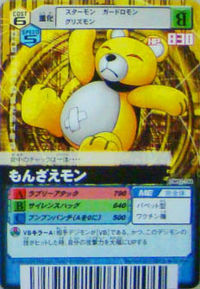 ↑ Digimon Xros Wars: "Sweets Zone! The Sweet-toothed Digimon Battle!" This page was last modified on 19 April 2019, at 22:32.